For the second consecutive NYC Restaurant Week, a kosher restaurant is participating in the promotional event: Reserve Cut, however only for lunches. NYC Restaurant Week runs from 1/23-2/10 2017. Reserve Cut first participated in last summer’s Restaurant Week and it is thankfully continuing that offer this winter. All Restaurant Week restaurants must offer lunch meals at a specific price, $29. Reserve Cut’s $29 lunch includes a 3 course meal of soup or sushi appetizer + salmon or small steak main course + sorbet or cake dessert. The full prix fixe menu can be viewed here. This summer’s lunch was a tasty offering from one of NYC’s top kosher restaurants, and surely its most expensive. For those who generally can’t afford to try Reserve Cut, this is an opportunity to try it out. 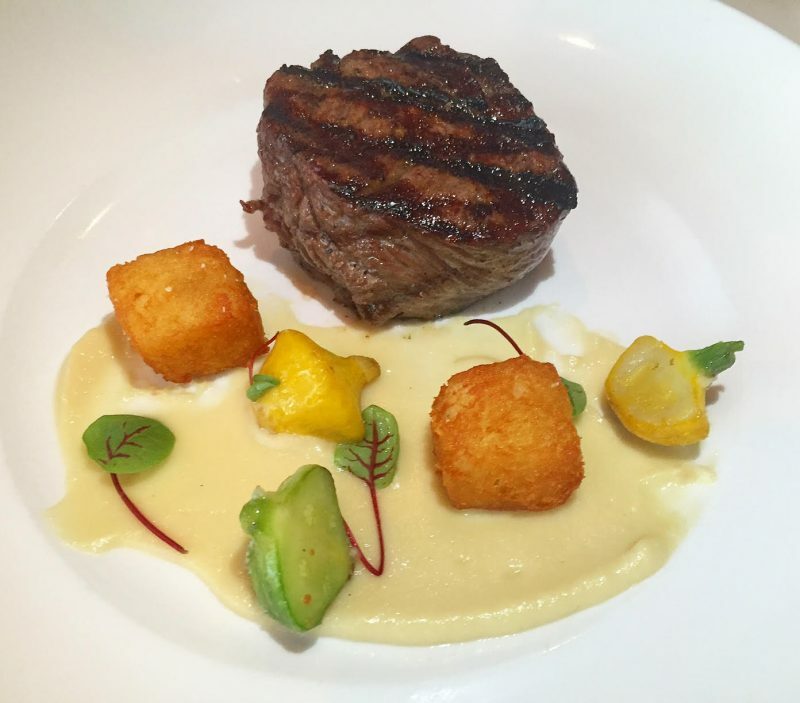 Read our review on last summer’s Reserve Cut Restaurant Week meal here. Additionally, American Express cardmembers can receive a $5 credit for $35 spent at Restaurant Week restaurants during the promotional period, and can be used up to 4x during that time. Cardmembers must register each card individually, and all primary and secondary cards can be registered separately. Register your American Express cards here. should you decide to have dinner at Reserve Cut between 1/23-2/10 you will easily rack up a larger bill, so you can ask the restaurant to charge your card(s) in multiples of $35 for $5 off each swipe. (For example: $105 bill swiped 3x at $35 each will earn you $15 in statement credits from American Express). Reserve Cut is Glatt Kosher under the kosher supervision of the OU. The restaurant is located on the 2nd floor of the Setai.